A gorgeous Tuscan villa harboring a terrible secret houses this original harrowing adventure of ancient mystery and modern intrigue. Archaeologist Richard Keyes and his resourceful young bride, Barbara, are expecting a blissful honeymoon in a welcoming new country. But from the moment they arrive in their secluded new home, circumstances conspire against them. A car crash leaves Richard lying unconscious in a bed surrounded by frescoes of a benevolent goddess, while a far more sinister deity in the courtyard seems to gain power in the night. Meanwhile, in Barbara’s hour of need, a beautiful, young Tuscan appears, and she is drawn to his seductive charms. 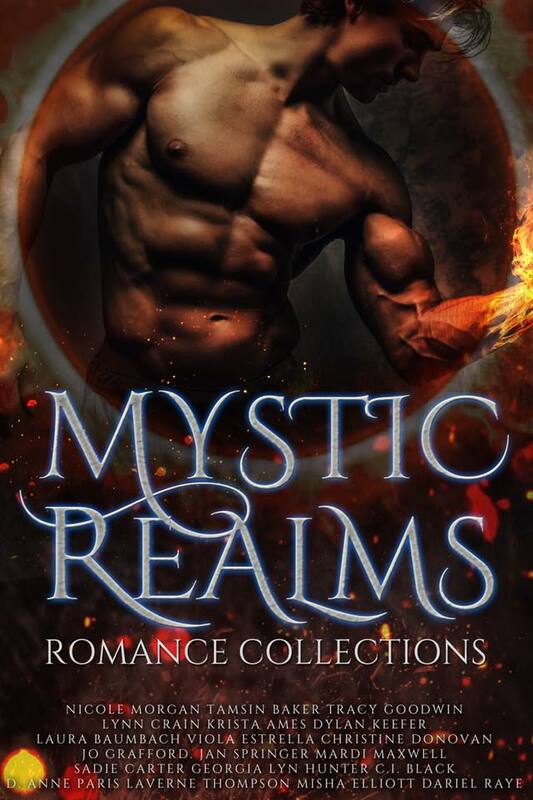 A conflict has been reawakened after generations of sacrifice, betrayal, and madness, and the key to the mystery lies in the catacombs under the villa. 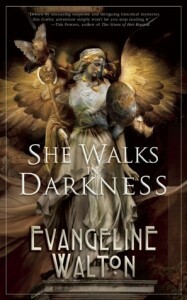 This first publication of newly-discovered novel from classic fantasist Evangeline Walton (The Mabinogoion series) is sure to please fans of all genres. Gothic horror is one of my favorite genres, so of course I wanted to give She Walks in Darkness a shot. It seems like people who read the author’s other works, which is mostly fantasy, seem a bit dissapointed with this book. 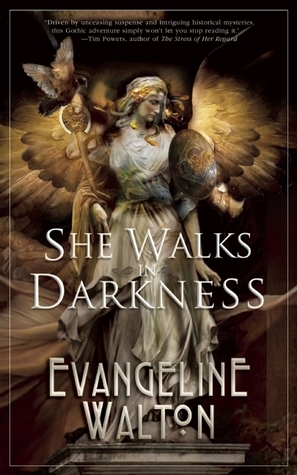 It’s my first time reading anything by Evangelina Walton however, and I must say I enjoyed it, and I will definitely check out her other work. Archaeologist Richard Keyes and his young bride, Barbara, go on honeymoon in Tuscany to an old villa riddled with mysteries and secrets. They plan to study some nearby Etruscan ruins and catacombs. However, not all is as quiet and peaceful as it seems. 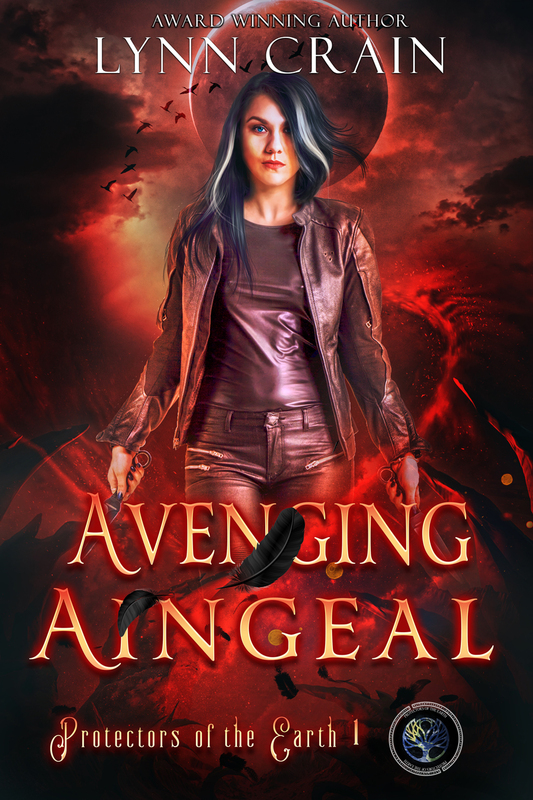 The book is told from Barbara’s POV, and we witness her increasing descent into paranoisa as more and more strange things start to happen, and an ancient diety awakens. 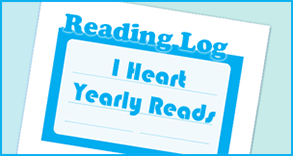 The writing is fluent and atmospheric, and the reader gets a few nice surprises along the way. A solid read for anyone who likes gothic horror.